Consumers in need of new ride control products can take advantage of big savings this fall with the return of the Monroe Shocktober 2 promotion, running Sept. 1-30, at participating parts and automotive service shops. During the program, consumers can receive up to an $80 Visa Prepaid card when they purchase a qualifying set of two or four Monroe or Rancho ride control products. Participating consumers can earn an $80 Visa Prepaid card for qualifying purchases of four Monroe struts, including Monroe Quick-Strut replacement assemblies. Those who purchase a qualifying combination of two Monroe or Rancho shocks and two Monroe struts can earn a $60 Visa Prepaid card. Lastly, purchasing four qualifying Monroe or Rancho shocks or two qualifying Monroe Quick-Strut assemblies can earn consumers a $30 Visa Prepaid card. 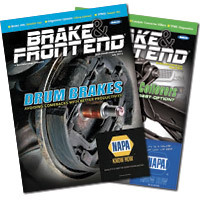 Products that qualify under the Shocktober 2 promotion include certain Monroe OESpectrum and Reflex shocks and struts; Monroe Sensa-Trac shocks, struts and cartridges; Monroe Max-Air shocks; Monroe Gas-Magnum shocks; Monroe Load Adjusting shocks; Monroe Quick-Strut replacement assemblies; and Rancho RS5000, RS5000X, RS7000 MT and RS9000XL series shocks. 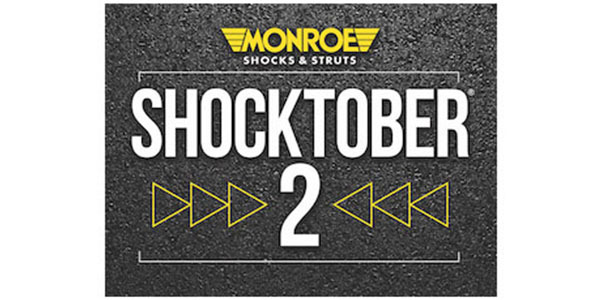 To learn which specific qualifying products are included in the Shocktober 2 promotion, visit Monroe.com. Monroe Shocktober 2 consumer promotion forms also will be available at Monroe.com. To qualify, submitted forms must be postmarked by Oct. 31. The Shocktober 2 rebate does not include installation or labor costs and cannot be combined with any other Tenneco discount, offer or rebate.